Thanks to significant improvements in application techniques, anti-wrinkle injections and lip fillers have become a much more acceptable way of freshening your look and keeping the years at bay. No longer are these treatments just for expressionless celebrities – instead we all know someone who has undergone treatment (although you probably don’t even realise it!). The benefits of anti-wrinkle injections and lip fillers are numerous and they are now so accessible that you can get them at your local dental clinic. 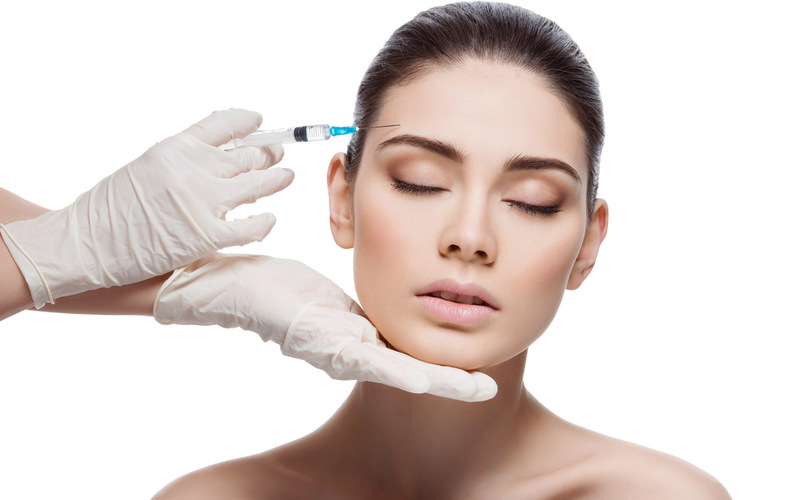 Anti-wrinkle injections temporarily relax the muscles that cause lines and wrinkles in your face. This means they can be used to soften specific expression lines that you may feel are too prominent or are ageing you prematurely. Fillers are used to re-plump areas that have lost collagen and elastin through the natural ageing process. This loss is what causes sagging, as well as dry, thin skin, which all lead to the development of lines and wrinkles. Strategically placed fillers lift and smooth specific areas of the face to increase support and add volume. We’ve all thought about getting some work done, but the fear of looking like you’ve ‘had work done’ puts many people off the process. Fillers and anti-wrinkle injections treatments have come a long way and when carried out by a trained professional, the results are incredibly natural. You’ll look refreshed and rejuvenated without the ‘frozen’ look that became synonymous with anti-wrinkle injections in the past. Anti-wrinkle injections can loosen tight overworked muscles and give relief to people who grind or clench their teeth, and those with jaw or facial pain. The therapeutic benefits are scientifically proven. Published in the International Journal of Oral and Maxillofacial Surgery in 2017, experts found people can have significant pain relief with treatment using anti-wrinkle injections . In today’s busy world, people don’t have the luxury of time when it comes to beauty treatments. Extreme and more invasive cosmetic work requires a significant amount of your time between the treatment themselves and the recovery period. Anti-wrinkle injection treatments and filler procedures, on the other hand, are so quick to carry out that you could schedule them into your lunch break. Once you have the treatments carried out, you’re immediately able to return to your busy schedule. There is the possibility of some slight swelling or bruising but this can be covered easily with light makeup and won’t last long. The benefit of dermal fillers and anti-wrinkle injections is that you can target very specific areas that age you significantly. Rather than undergoing an excessive amount of work on your entire face, you can instead concentrate on subtle areas that betray the first signs of ageing. By applying a few strategic fillers to areas like cheeks, lips and under-eyes, your face is immediately lifted, taking years off your look. Professionally done makeup and a blowout may leave you looking amazing on a night out, but the effects are gone the next day. Anti-wrinkle injections and fillers take minimal time to administer and your new youthful look will be yours to show off for a long time. The duration of results understandably varies from person to person, depending on certain factors like lifestyle or smoking, but anti-wrinkle injections results typically last between 3 to 6 months, while dermal fillers can leave your skin plump and healthy for up to 18 months. Book your appointment for Anti-wrinkle injections and Dermal fillers. People often think that only dermatologists or plastic surgeons can carry out these treatments, but you can actually have them administered by dentists. When you think about it, it makes perfect sense! Dentists are some of the best placed medical professionals to apply fillers and anti-wrinkle injections to your delicate facial area. Unlike plastic surgeons and dermatologists who deal with the entire body, dentists are trained to focus specifically on the facial area. Our training means we know the structures of the oral and maxillofacial areas and familiar with what a ‘natural look’ is and how the face moves. When this knowledge is combined with extra training in the use of fillers and anti-wrinkle injections, you’re in the hands of someone who is best placed to give you the results you need. To enquire about the services we offer or ask any questions you may have about anti-wrinkle injections and dermal fillers, get in touch today.